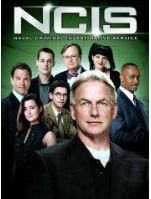 What is the connection between Mark Harmon, star of the hit TV series NCIS, and the China Burma India (CBI) theater of World War II? 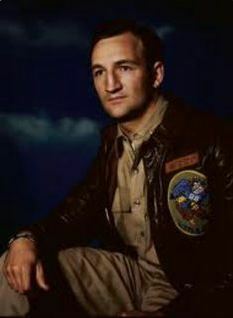 His father Tom Harmon, University of Michigan Heisman Trophy winner, served as a fighter pilot in the CBI during WWII. Tom Harmon was born in Rensselaer, Indiana on September 28, 1919. His family later moved to Gary Indiana where he graduated from Horace Mann High School in 1937. During high school, he was an outstanding athlete winning 14 varsity letters and was named All-State quarterback two times. Harmon played college football for the University of Michigan Wolverines from 1938 to 1940 where he won the Heisman Trophy and the Maxwell Award in his senior season. He excelled as a tailback and as a kicker. During his college career he rushed for 2,134 yards, completed 100 passes for 1,304 yards and 16 touchdowns, and scored 237 points. In his final game against Ohio State, he led Michigan to a 40-0 win over the Buckeyes. During that game, he scored 3 rushing touchdowns, 2 passing touchdowns, four extra points, intercepted 3 passes and punted 3 times for an average of 50 yards. During World War II, Harmon enlisted in the Army Air Corps and received his wings in October 1942. He trained in B-25 bombers and took off for North Africa in a B-25 in April 1943. During that flight, his plane went down in the jungles of Dutch Guiana. Harmon was the only survivor and walked through the jungle until he was rescued by natives. He was then shipped to North Africa where he trained in P-38 fighter aircraft. In the summer of 1943 he flew his P-38 named “Little Butch II” to the CBI theatre where he shot down his first Japanese airplane on August 28, 1943. In October 1943, he was shot down and bailed out over Japanese occupied China during an air fight. When he reached the ground, he discovered bullet holes in his parachute and played dead to discourage further attacks by the enemy pilots. During this ordeal, he was smuggled through Japanese-held territory to an American base by friendly Chinese groups. Harmon saved the silk from his parachute and it was later used to make his wife’s wedding dress when he married actress Elyse Knox in 1944. He received the Purple Heart and the Silver Star for his actions in the CBI. 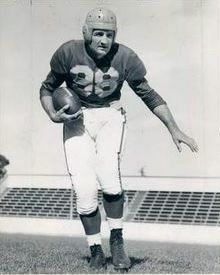 After the war Tom Harmon played professional football for the Los Angeles Rams, but injuries to his legs during the war limited his success. He then became a sports broadcaster and was enshrined in the College Football Hall of Fame in 1954. Harmon’s children also became successful in the fields of sports and entertainment. His son Mark Harmon, played quarterback for UCLA and later became a top TV star. 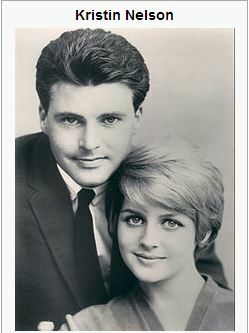 His daughter Kristin Harmon became an actress and married Ricky Nelson. Among her credits are TV roles on Green Acres and The Adventures of Ozzie and Harriet. Additional stories of men who survived the jungles of Burma can be read in my book Kicker which can be found at the links below.